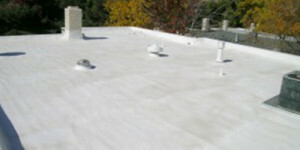 Promar Flat Roofing is a leading roofing company in the Chicago area. At Promar we are very passionate about our business. We hire the highest quality employees available in the marketplace and put them through continuous training. We want to always stay on the cutting edge of current technology to provide our customers with the service they deserve. Our highly trained team installs brands of high quality roofing products at a competitive price. We have found that the price to do it right doesn’t come close to the price you pay for doing it wrong. We are also committed to maintaining and repairing your gutters through new gutter installation services, gutter replacements, gutter cleaning and gutter repairs. Our greatest focus is on your, our customer. We offer you the highest quality work with the class and professionalism you deserve. We aren’t happy with the job until you are. Our mission is simple: Provide the best possible service – at the best possible price – with the best possible people – in the most efficient manner possible.